Savannah is a beautiful riverfront city where visitors find many historic attractions, great museums, breakfast spots, unique wedding venues, free attractions, family-friendly activities, and a vibrant food scene. Start your trip by exploring the Savannah Historic District filled with famous buildings, parks and picturesque fountains. Stroll through Forsyth Park, explore Savannah Waterfront, visit The University of Georgia Aquarium and Old Fort Jackson. In the very center of Savannah’s historic district lies a green oasis called Forsyth Park. It is one of the favorite places for locals to sit in the shade and escape from the relentless sun. Many tourists also rest their tired feet in this park. It is a great place to people watch, have a picnic, take your dog for a walk, go for a jog in the morning, or dribble a soccer ball with friends. With 30 acres of green space, huge mature trees, and countless flowering bushes (annuals and perennials), the park is a riot of colors throughout most of the year and one of the best things to do in Savannah. There are often concerts in the open air, and the Farmer’s Market takes place here every Saturday. You will not be able to resist taking a photo of the beautiful old fountain, one of the most popular and most photographed attractions of Savannah, Georgia. The Savannah Historic District is a National Historic Landmark established in 1733. It has been remarkably preserved to this day. This lovely part of Savannah sees thousands of tourists every year who stroll through the old original squares and enjoy magnificent Gothic, Georgian, and Greek Revival buildings and mansions, parks, and fountains. The area of the Historic District lies between the Savannah River, E. Broad Street, Gwinnett Street, and Martin Luther King, Jr. Boulevard. Some of the most famous mansions and buildings include the Owens-Thomas House on Oglethorpe Square built in 1818, the Gothic Revival Greene House on Madison Square, and the Teach Institute, Savannah’s first black school, located on East Harris Street. If you are wondering what to do in Savannah, Georgia, stop by the Savannah Visitor Center located in the beautifully restored Central of Georgia railroad station to learn about self-guided tours offered in Savannah. Located along the Savannah River, Savannah’s historically rich River Street once served as the location where many warehouses stood 200 years ago during the time when cotton was king. Because of the yellow-fever epidemic and the resulting quarantine in the early 1800s, the area was abandoned for more than 100 years. In the 1970s, the River Street and its 200-year-old cobblestones were rediscovered, leading city planners and local landowners to transform the location and its empty warehouses into the lively and exciting Savannah River waterfront area you see today. With more than 80,000 square feet, the formerly abandoned warehouses of River Street house over 70 businesses, including art galleries, restaurants, shops, and much more. Since its refurbishment, River Street has become a busy and popular tourist attraction. When it comes to Savannah restaurants, there are many amazing choices and not enough time. One way to get a pretty good idea as to what Southern food and Southern hospitality are all about is to take one of the Savannah Taste Experience tours. The tour recommended for the first time visitors is The First Squares Food Tour, which takes you on a journey that allows you to sample foods from seven unique restaurants and food stores around the original squares built in Savannah. The second tour explores hidden gems in mostly residential neighborhoods, and it goes behind the scenes of the restaurant kitchens, stopping for chats with the chefs and locals about their city. Both tours are three-hour long walking tours, so you can stretch your legs between meals and really get a feel of the spirit of the charming, historical city of Savannah. Located on Ocean Science Circle, the University of Georgia’s Marine Education Center and Aquarium is a kid-friendly and educational tourist attraction on Skidaway Island just southeast of downtown Savannah. 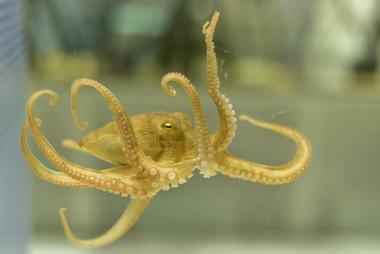 The exhibits feature the marine animals that live along the coast of Georgia, and there are sixteen tanks that house many species of fish and reptiles like turtles. Children enjoy the touch tanks, which allow them to get up close to see the animals. There are also exhibits of fossils of extinct animals like wooly mammoths and mastodons, fascinating creatures that once lived in the Skidaway area. Group tours and summer camps are offered at the Marine Education Center and Aquarium, which is open Monday to Saturday. The University of Georgia Aquarium is one of the best things to do in Savannah GA for families. Six women set their minds on starting a farmers’ market in 2009 in beautiful Forsyth Park, a location where everyone feels welcome. The idea was to create a place where everyone can have access to healthy, locally produced food, and to give the local farmers a chance to show the fruits of their labors. The market only features food sold by those who grow and produce it. 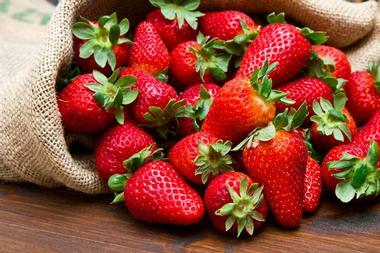 You will find nearly everything there, including bread, cheese, eggs, honey, produce, preserves, coffee, and much more. A token system allows people who use SNAP (food stamps) to double their value and get access to the healthy, wholesome food. Visiting Roots Up Gallery is a great step to take in order to better understand the spirit of the South. The Gallery features a mix of oils, pottery, sculptures, and jewels created by mostly self-taught and often unknown folk artists, painters, and sculptors. The gallery makes you think of lives lived under tin roofs and inside small shacks throughout the rural Georgia backwoods. You picture the lives of those who see art as something that simply must be done because it reflects who you are and how you see the world. The gallery is located in the former parlor of a beautiful old townhouse in downtown Savannah. Art pieces are for sale and are surprisingly affordable. Chef Darin’s Kitchen Table is a hands-on cooking school in the Victorian district of Savannah where Chef Darin Sehnert will suit you up in an apron and get you started on a wonderful culinary journey. His goal is to demystify cooking techniques and teach his students to understand basic, yet essential ingredients. The teacher and his students gather around the kitchen table and cook together, discussing different techniques, sharing stories, talking about ingredients, and basically enjoying themselves. You will be slicing and dicing, frying and baking, and, the best part, at the end you will sit down at the table with your teacher and fellow students and eat everything you worked so hard to prepare. Taking one of these cooking classes is a great way to spend an evening and have an interactive learning experience with Southern cuisine. Visiting the magnificent, authentically furnished Gordon family home, which looks just as it did in 1886, is a truly marvelous experience. 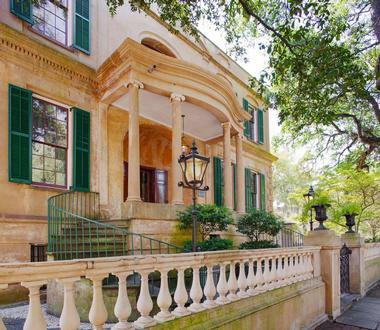 Famous for being Savannah’s first Registered National Historic Landmark, this old mansion is a wonderful example of the city’s romantic past. However, the real reason to visit this remarkable place is to learn about Juliette Gordon Low, the founder of Girl Scouts of the USA. This fine 51-year-old lady from a rich Southern family started a worldwide movement that promoted girls’ strength, individuality, and intellect through new outdoor and educational programs in 1912. The house, the place of Low’s birth, is now owned and managed by the American Girl Scouts. The house contains collections of Juliette’s possessions and fine art as well as an excellent library that focuses on the literary tradition of the written word created by women across cultures and throughout time. Founded in 1966, the Ships of the Sea Maritime Museum features memorabilia related to 18th and 19th century ships that were displayed in the 1819 William Scarbrough House and Gardens. The establishment was in the Greek Revival style of architecture, and the home belonged to one of the owners of the “Savannah,” the first steamship to cross the Atlantic Ocean. The garden is one of the largest in the Historic District, and it is filled with colorful, stunning flowerbeds. Inside the house, the main attraction is the collection of ship models, artifacts, and ship-related paintings. There are nine galleries that display various kinds of ships from old colonial sailing vessels to modern navy ships. The museum is open every day except Mondays. Capturing Savannah offers photography walking tours of beautiful, historic Savannah. Capturing Savannah leads groups of 15 or more people, and they service groups such as children’s field trips, family groups on holiday, corporate outings, or any other group interested in exploring all the enchanting wonders Savannah has to offer. Capturing Savannah helps visitors find the most scenic landscapes as well as small fascinating details during the photography walking tour. 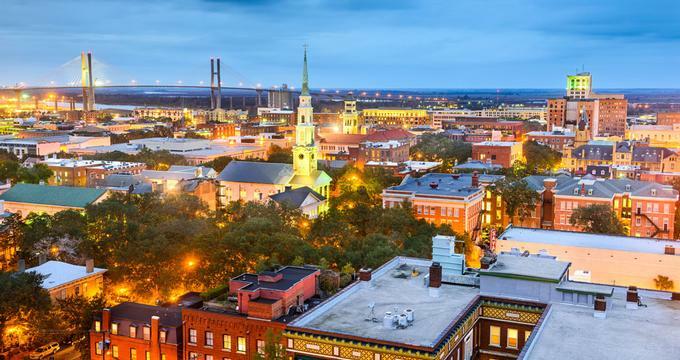 The tours are led by licensed Savannah tour guides who have plenty of experience in helping visitors take advantage of the best photographic opportunities available in Savannah. Some of the tours include ‘Ol Savannah Tour, Pristine Savannah, Savannah Sundown, and Squares of Luxury, among others (Phone: 912-755-6719). The Owens-Thomas house is an English Regency style historic home located on Abercorn Street on the northeast corner of Oglethorpe Square in Savannah. English Architect William Jay built the Owens-Thomas house between 1816 and 1819. Today, it operates as a historic house museum and was designated as a U.S. National Historic Landmark. Originally known as the Richardson House, the Owens-Thomas house was donated to the Telfair Museums in 1951. Visitors have the opportunity to see the gorgeous decorative arts and furnishings that date from 1790 to 1840. Public tours are given every day at fifteen-minute intervals, and school tours and group tours are also available. The house is open every day. City Market is a lively four-block area of businesses located on West Bryan Street next to Ellis Square. 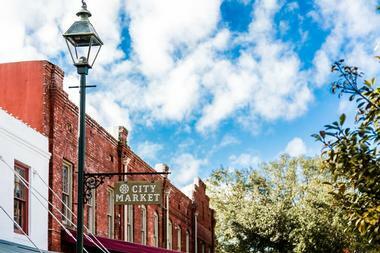 For over 300 years, City Market has served as Savannah’s center of commerce where farmers bring their produce and products to sell to the people of the city. The restoration of the area began in 1985, and today the restored warehouses are home to several galleries, restaurants, and shops. Also located in this area is the Art Center, a 19,000 square foot space that houses more than 50 working artists’ studios. 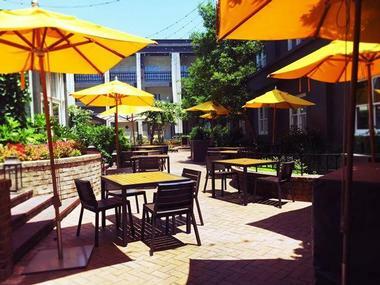 There are many dining choices available at City Market such as cafes and specialty shops as well as a courtyard where visitors can relax and enjoy some refreshments. More GA destinations: 23 Best Things to Do in Atlanta. 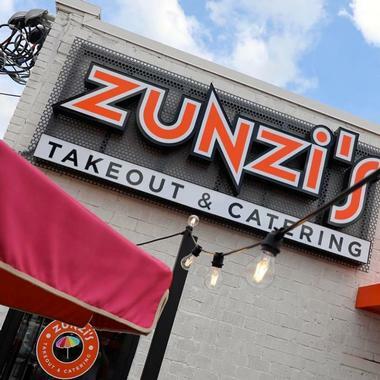 If you want to know what is in a South African/Swiss/Italian/Dutch sandwich, go to Zunzi’s in Savannah’s Historic District and find out. Be prepared to wait, the line outside of this tiny counter-serve deli stretches around the corner. What neighbors have known for years is now out for the rest of Savannah due to fantastic reviews in the media. Everyone wants one of their large, delicious sandwiches such as the Conquistador with French bread, baked chicken breast, lettuce, tomatoes, and Zunzi’s special sauce. Try some of their other take-out treats, such as a cottage pie with ground beef, a home-made lasagna, or a vegetarian curry. There is a nice area in the back with a few tables, but most people just take their goodies to go. Painted in bright blue and white stripes, the lovingly refurbished 1930s former Savannah’s Greyhound bus depo hides a superb restaurant serving classic Southern dishes with an Italian influence. The original period art deco details and skylight are the background to Chef Mashama Bailey’s artistry in the kitchen. Guests who are familiar with her style from her time at Manhattan’s Prune flock to the Grey’s 60-seat dining room, with its long banquettes and a horseshoe-shaped bar at the center. The dishes are almost too beautiful to eat, pared down to few perfectly chosen ingredients that combine to give a complex and sophisticated flavor. There is nothing more Southern that grits, but here they are served with foie gras, applesauce, onions, and red wine gravy. The peanut butter and jelly is actually peanut butter mousse served with brioche tuile and muscadine jelly. The Grey has a small but sophisticated wine list. 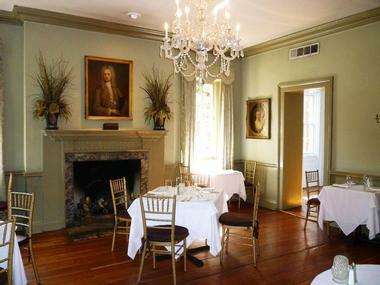 The Olde Pink House is a great choice for an intimate and memorable date. Everything about this magnificent colonial 18th century mansion is romantic, from the elegant entrance with large pillars and the curving staircase to the lovely fireplace in the dining room, crystal chandeliers, and damask tablecloths. 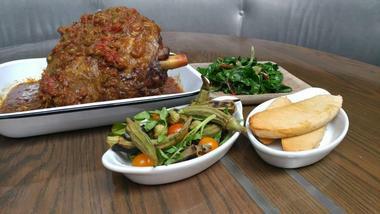 The menu showcases the chef’s imaginative take on classic Southern cuisine. 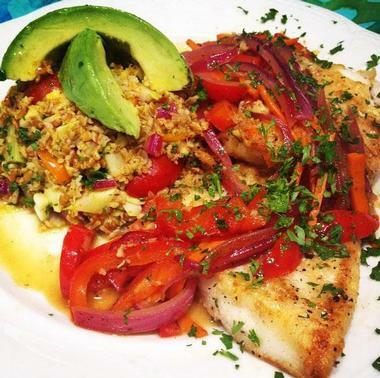 You can find such delights as Almond Encrusted Tilapia with Shrimp Herb Butter, and of course there are fried green tomatoes and grits to remind you that you are in the South. Try one of their platters to taste a bit of everything. There is also a cozy tavern beneath the restaurant. Interestingly, Olde Pink House is a popular ghost-hunting venue, so you might even spot a few supernatural guests. With seven locations in the Southeast, CO is quickly becoming a place to go for some delicious Vietnamese dishes. Their Savannah restaurant is located downtown, near Johnson Square, on historic Whitaker Street. 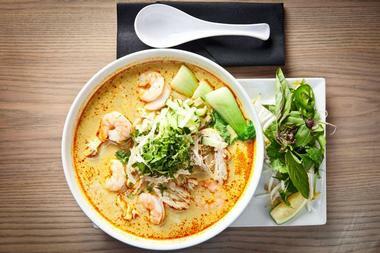 This modern, sleek place with brick walls, a long bar, and an open kitchen has a range of Vietnamese classics such as banh mi, pho, Thai noodles, and interesting sushi rolls. The menu is extensive with plenty of vegetarian and gluten-free options and several interesting poke bowls. The bar serves delicious exotic cocktails, wines, sakes, local draft, and bottled beers. CO also has a great catering menu. If you like beer, World of Beer is without a doubt the place for you. This chain has succeeded in making a name for itself in charming Savannah by offering 50 craft beers on tap and more than 500 in the cooler. Upon entering, you will see games and TVs everywhere. There is plenty to eat in this establishment besides standard bar fare, although their pretzels really are exceptional. Tasty dishes like the beer-battered shrimp and fish and chips are just a couple favorites. This is the place to be when you’re out with friends on a game night. 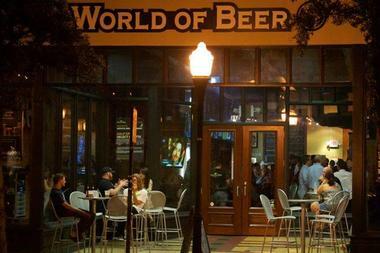 World of Beer is located in downtown Savannah. Pacci Italian Kitchen + Bar combines all the best aspects of an Italian old-world kitchen: the divine aroma of delicious cuisine made from fresh produce straight from the local farms, checkerboard tablecloths that are reminiscent of a Tuscan tavern, and a warm and welcome greeting. The main dining room is elegant but casual, full of light, spacious and buzzing with conversation and music. At the Secret Garden, you can get a real sense of true Italy – you’ll find a shady, secluded courtyard just perfect for a romantic dinner or a few moment of quiet contemplation over a post-dinner Amaretto. Celebrated chef Roberto Leoci is a culinary magician who transforms the freshest local produce and excellent seafood into dishes bursting with delicious flavors, colors, and textures, all of which are typical of an Italian feast. Don’t miss his Coca Cola Glazed Short Ribs with Forest Mushroom Risotto and Parmesan-Reggiano. Pacci is located in The Brice, a Kimpton Hotel, in a converted cotton warehouse and Coca-Cola bottling plant. 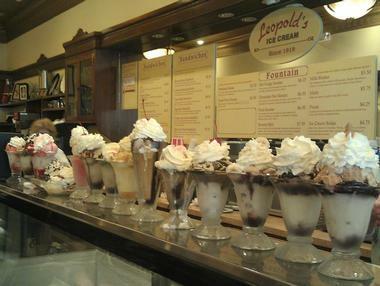 A Savannah institution, Leopold’s started in 1919 as a real old-fashioned soda fountain diner, treating its customers with pimento cheese sandwiches and BLTs and pistachio and chocolate chip ice creams. Now, almost 100 years later, the old generation happily reminiscences about sherbet molds and the good old times, while the younger generation is thoroughly enjoying the atmosphere recreated with the marble counter and tabletops, wooden phone booth, and incredible range of ice cream flavors, some of which you will not find anywhere else, such as ginger ice cream with bits of real candied ginger or lemon custard with real lemon. Leopold’s also serves hot soups, salads, and sandwiches, but really the crowd is there for the atmosphere and the ice creams. You cannot make a pub more Scottish, even in Savannah, Georgia, than dressing bar staff in kilts and lining the shelves with hundreds of bottles of single malt whiskey. 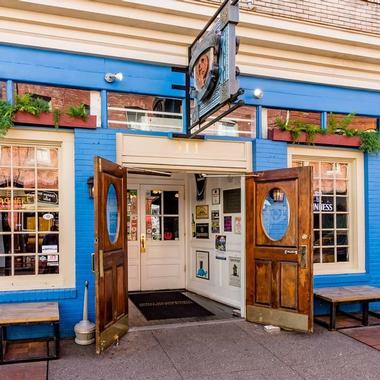 Named by the owner’s grandmother, Molly PacPherson’s is a quintessential neighborhood bar that is cozy and welcoming. The space has large TV screens to check the weather and the latest scores and the smells of fried goodies coming from the kitchen. The pub is full of warm touches such as a fireplace with comfy chairs around it and a large bar where you can belly up and share family secrets with a bartender. The food is traditional Scottish pub grub and includes all sorts of meat pies, Guinness onion rings, Shepherd’s pie, and bangers and mash. Coming to the Wilkes House is like having Sunday lunch at grandma’s: you seat at large communal tables in a warm, homey dining room and feast on fried chicken, meatloaf, sausage, beef stew, and veggies. 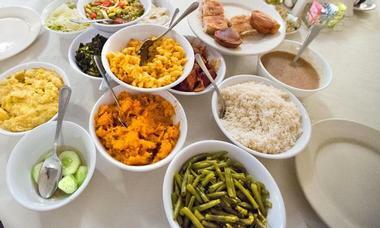 Guests are invited to share, ensuring a friendly, communal meal. 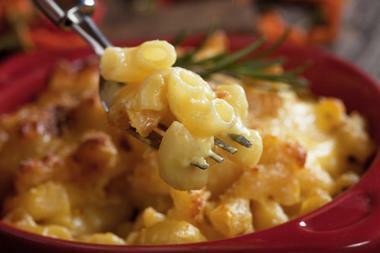 The menu changes often, and locals and regulars alike will definitely not get bored. It all started in 1943, when Mrs. Wilkes would serve a boardinghouse lunch in Savannah. Eventually, this lunch became a venerated dining experience about which food experts continue to rave to this day. 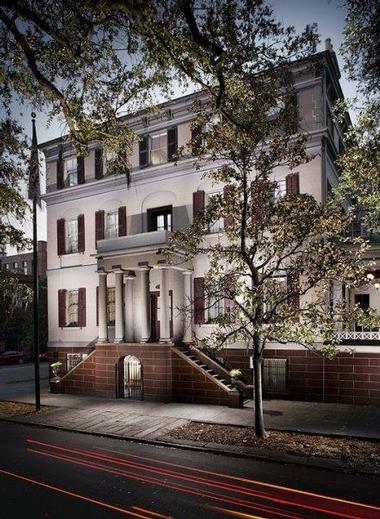 Mrs. Wilkes’ house, which serves as the location of the restaurant, is a beautiful grand dame of Savannah that still operates as a boarding house with two upstairs apartments. Guests are welcome to enjoy a free lunch. Today, Mrs. Wilkes’ young grandson Ryon Thompsan owns the restaurant, and he continues to uphold the tradition of Southern cooking and maintain friendly relationships with the local farmers who bring fresh supplies daily. Foxy Loxy Cafe is a hybrid coffee shop and Tex Mex-style cantina, showcasing the best of Savannah's culinary and arts scenes. 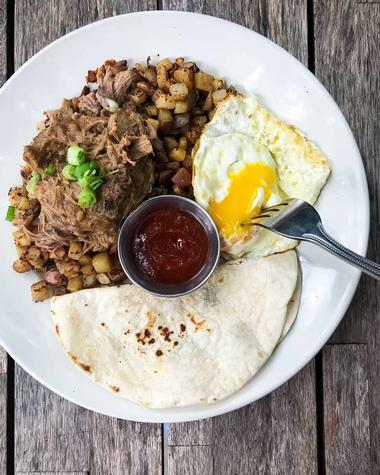 The restaurant opens early in the mornings to serve locally-roasted PERC Coffee Roasters beverages, including gourmet coffee, tea, and horchata beverages. A rotating selection of pastries and baked goods are available from the restaurant's sister facility, Henny Penny Cafe, including kolaches, sundaes, and vegan options. Tacos are served Mondays through Saturdays, filled with meats from local farmers Springer Mountain Farms and locally-sourced produce and cheeses. At Sunday brunch, diners can choose from Mexican-influenced favorites such as enchiladas, burritos, and breakfast tacos. Savannah's best contemporary artists are showcased at the cafe's gallery, with live music performances and fire pit events open to the public weekly. Located on Louisville Road in Tricentennial Park, the Georgia State Railroad Museum is the most complete pre-Civil War railroad complex in the United States. It is housed in the old Central of Georgia Railway Savannah Shops and Terminal Facilities and is listed as a U.S. National Historic Landmark. Inside the roundhouse is an operating train turntable, a blacksmith shop, and a carpentry shop, among other delightful features. Visitors will enjoy seeing the various steam engines, diesel engines, historic railcars, and cabooses on display. The Savannah Children’s Museum is also located here, so feel free to bring your children. Besides the fascinating locomotives, the museum also offers guided tours and train rides. 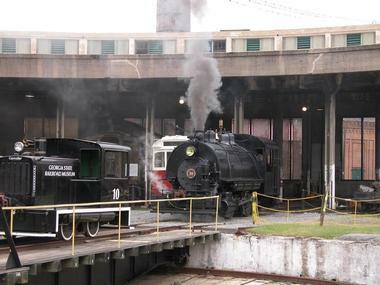 The Georgia State Railroad Museum can also be rented for events like corporate parties, weddings, and birthday parties. The museum is open every day. The Oatland Island Wildlife Center of Savannah is located on Sandtown Road a short distance east of downtown Savannah. It is a small yet impactful animal refuge where visitors of any age can enjoy and appreciate many different species of animals living in their natural habitats. A nature trail winds its way through the forest and marshlands of Oatland Island, and visitors have the option of taking self-guided tours. There are over 150 animals that represent about 50 different species. There are fascinating exhibits, including the “Wolf Wilderness” exhibit, and visitors can also see alligators, birds, cougars, and much more. Meanwhile, the “Georgia Farm” exhibit features farm animals such as cows, goats, and rabbits. 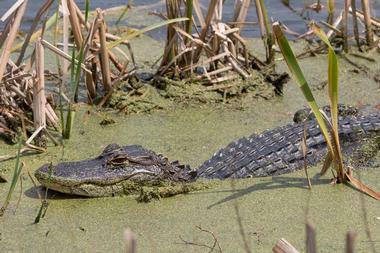 The Oatland Island Wildlife Center is open every day. Old Fort Jackson is the oldest brick fortification still standing on the banks of the Savannah River. 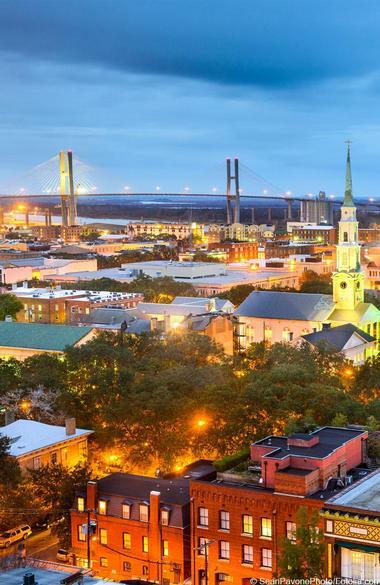 Walking along the fort parapet and exploring its many nooks and crannies will surely spark your imagination, and it will probably also remind you that romantic Savannah had violent past. 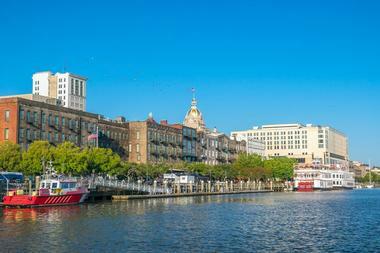 The walk will also offer you great views of Savannah’s picturesque riverfront. Kids will especially love the 9-inch Dahlgren cannon that actually fires cannons every day at 10 a.m. and 2 p.m. in the spring and summer. Old Fort Jackson functioned as the Confederate forces’ Headquarters during the Civil War, and after Savannah surrendered in December 1864, Union troops took over. Today, the Fort is a National Historic Landmark and one of the best things to see in Savannah.